Oslo, February 9, 2019 (SPS) - The Norwegian Parliament announced the creation of a friendship committee with the Sahrawi people, comprising nine political parties represented at the Parliament to show solidarity with Western Sahara and defend its people’s right to self-determination. Set up on Tuesday at the Norwegian Parliament, this friendship group, which is the only one to activate outside Norway, is part of the solidarity with the Sahrawi people occupied by Morocco since 1975. 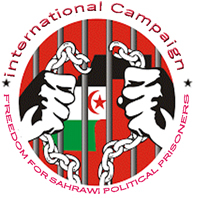 “At the moment where everyone is waiting for the meeting, that will comprise the parties of the conflict in Western Sahara, scheduled for March, to continue discussions under the auspices of the United Nations, it is necessary, even essential, that the Norwegian government supports clearly the principles of the international law, affirming that the solution is to enable the Sahrawi people to exercise their right to self-determination,” underlined Lerbrekk Solfrid.